Winter weather is bound to have anyone dreaming of sunnier days on the patio, surrounded by good friends, food, and drinks. These couples created weddings with that unmistakable at-home comfort combined with unparalleled elegance to make for a beyond incredible day. What made these couples choose backyard bashes? Not only are they a great way to save on venue costs, they naturally add a homey vibe and make the day feel extra personal. 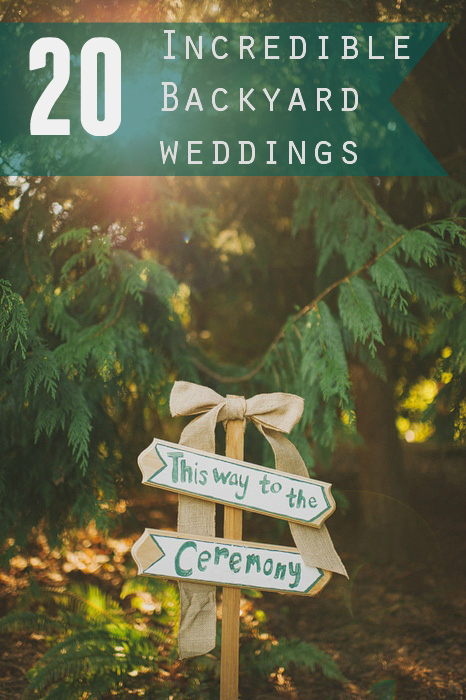 So, warm up to these 20 incredible backyard weddings–with lovely details, color palettes and romance, they’re bound to make you swoon. Pops of bold color, piñata cookies, and lots of laughter make this backyard wedding an easy favorite. This wedding screams good time. Every detail from the dance moves to the cake cutting sword (yes, that’s right), oozes this couples personality and laid-back style. 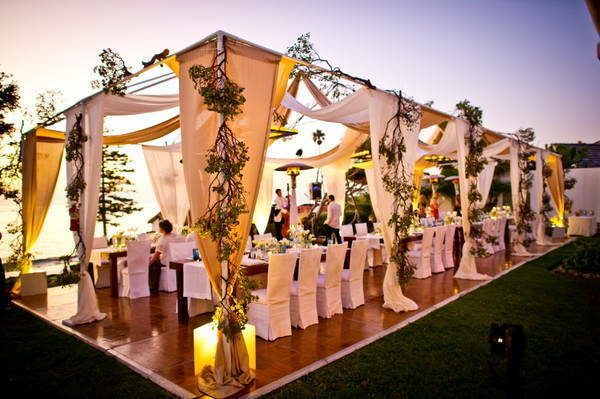 Undeniably this wedding is the definition of backyard glamor. 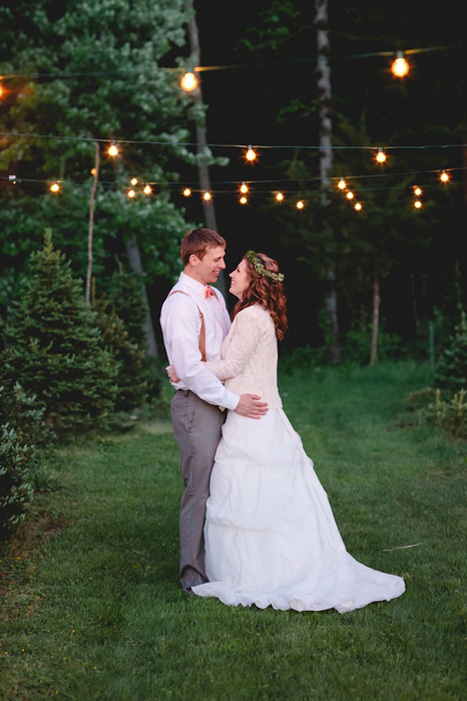 Everything from the bride’s gorgeous blush skirt to the sparkler send-off created a dreamy wedding that’s hard to forget! 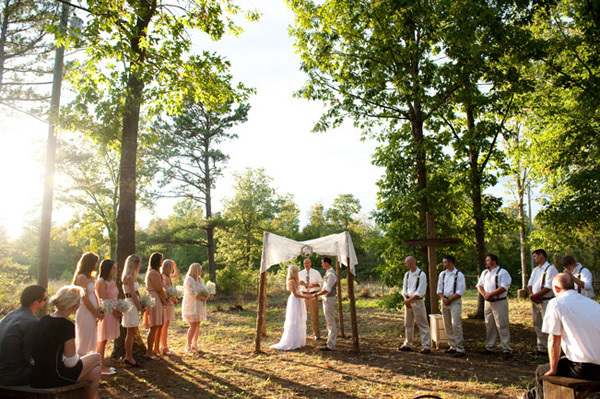 This sweet, southern wedding is what country-chic dreams are made of. 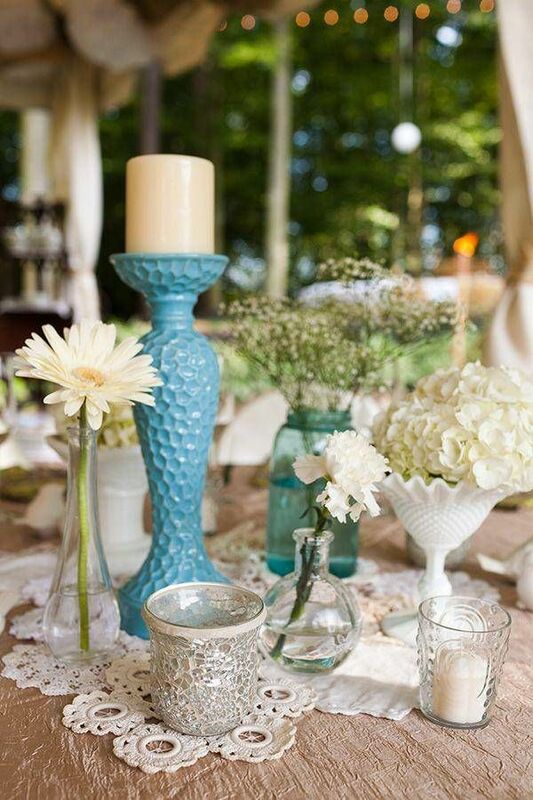 From baby’s breath to mason jars, this wedding has as much southern charm as a cold glass of sweet tea. 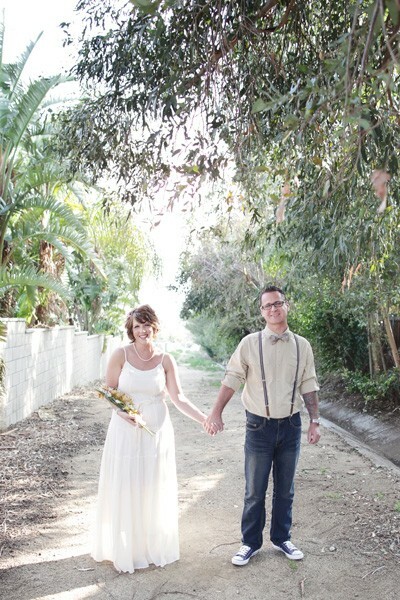 Katie and Justin’s wedding is all things California. 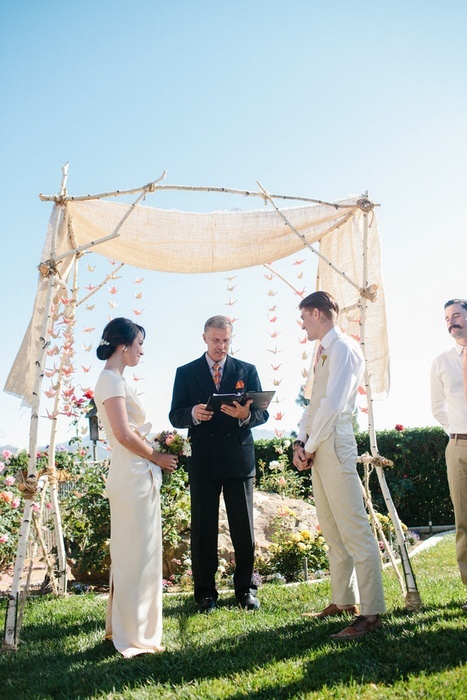 Does it get better than saying your vows ocean side? I don’t think so. 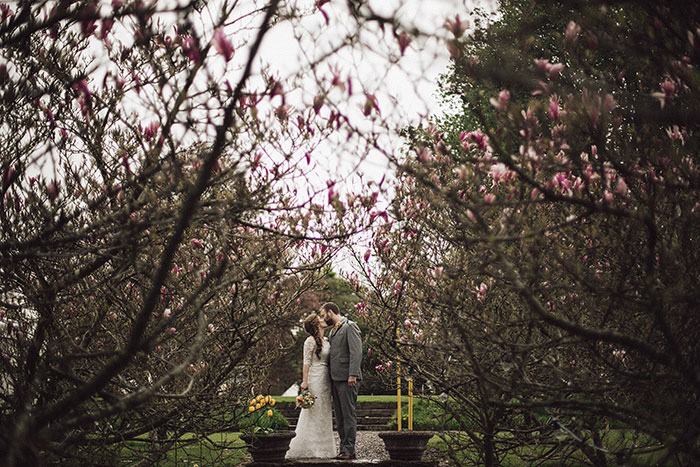 The vintage details in this backyard wedding are to die for! 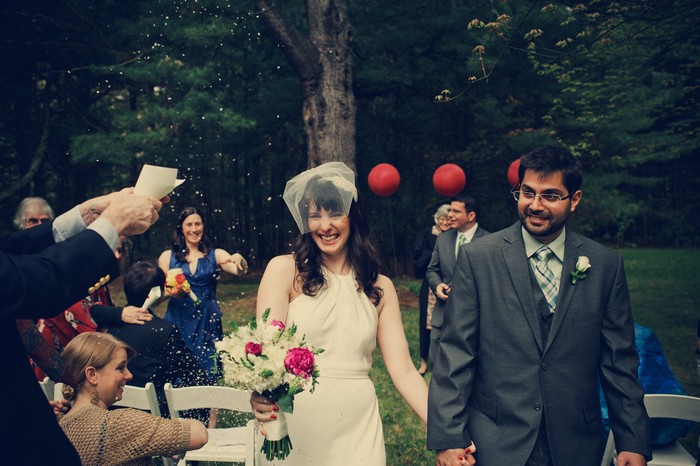 The bride wore a vintage fur wrap, birdcage veil, and sassy fifties inspired dress! A must see! 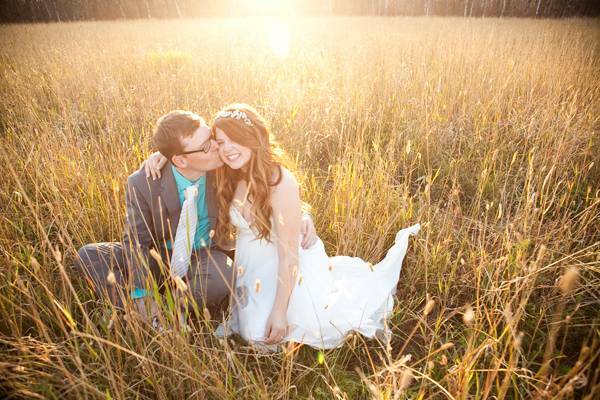 Bride Cara is a DIY queen! From gold paper cranes, to hand sewn guest bags and DIY dyed mason jars (not to mention the handmade attire for the cat and dog), this quirky couple truly put their personal stamp on their day. 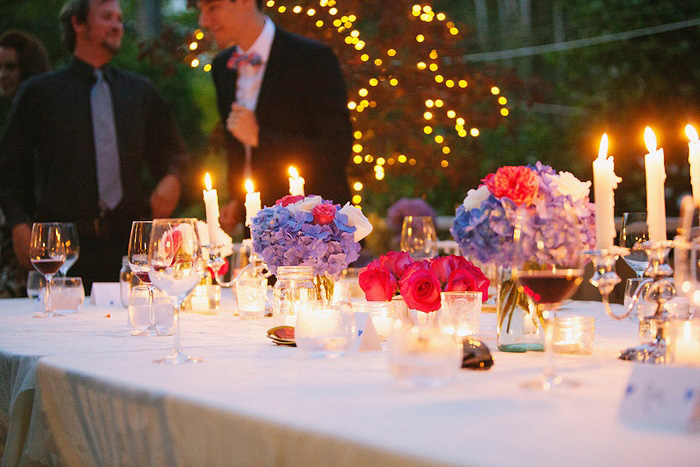 The lovely bursts of color in this wedding really make for a beautiful, intimate, summer gathering. The couple’s playful personality truly comes to life in this backyard wedding, with their hand in creating many of the day’s details. This adorable couple knows how to plan a party on a budget–and not lose any of the pretty details. 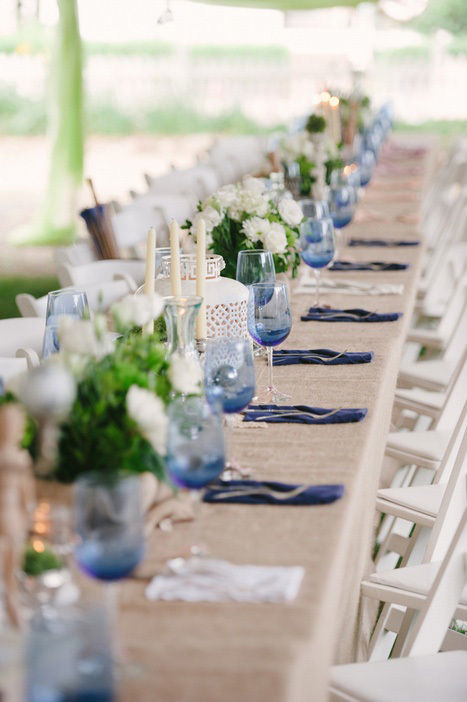 Hues of blue and lush greens make this wedding a perfect inspiration for those looking to create an amazing day without breaking the bank. Pixie cuts, wildflowers and a get-away bike? 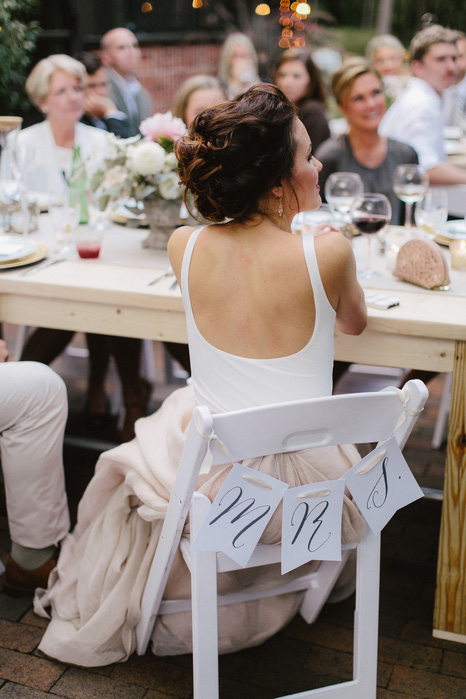 This simple wedding is packing personality in all the right places. 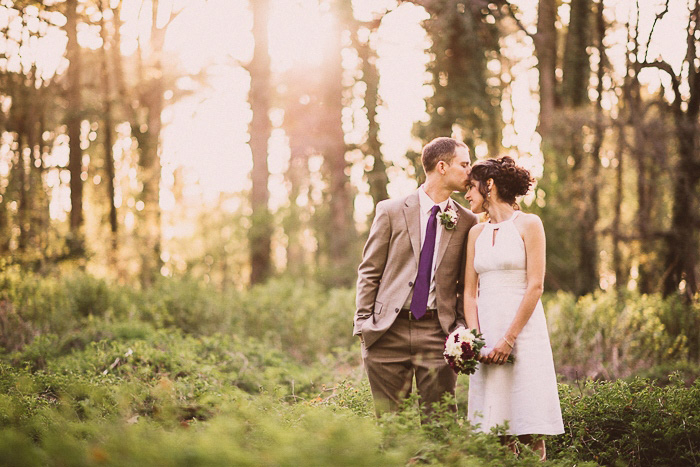 Set in a backyard forest in Ireland, this wedding is hauntingly beautiful. So many classic elements, it feels straight out of an old romance novel. 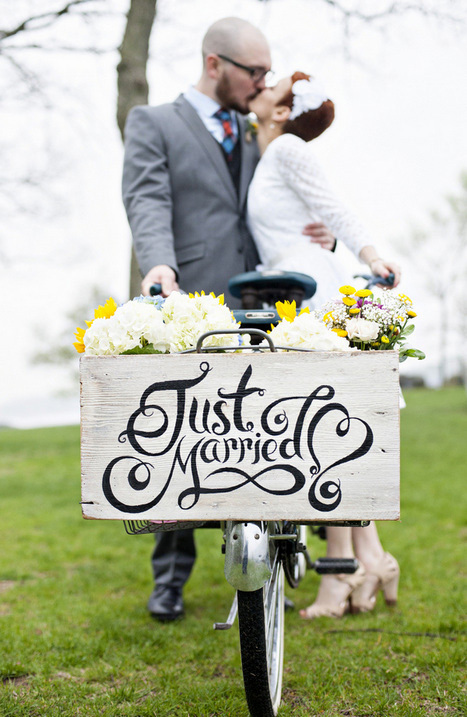 Laid-back picnic lovers must check this wedding out! Who says you need to have a fancy schmancy sit-down dinner at a wedding? After all–rules were meant to be broken! 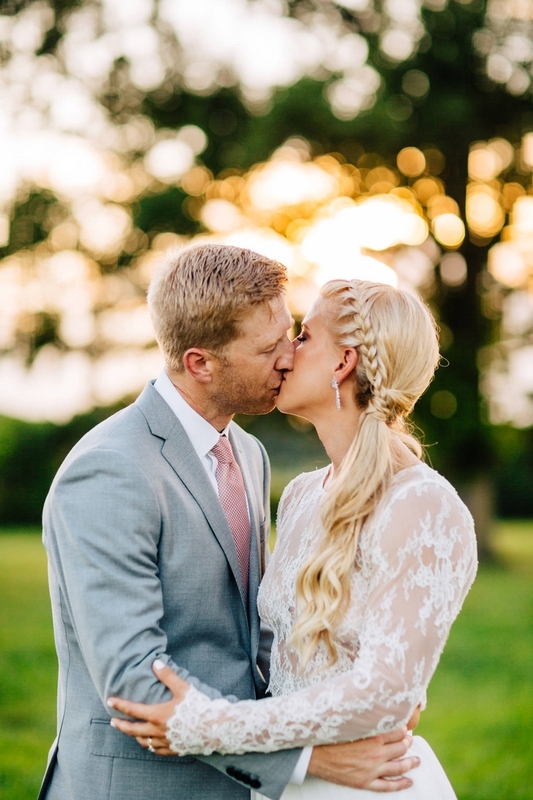 A sunlit ceremony surrounded by their closest friends and family members, a fun-filled reception and an after-party by the pool… This Maryland wedding was pretty perfect! This spunky couple chose to have a coffee themed backyard gathering. Colorful tones of taupe, chocolate, and espresso jazzed up this cozy wedding. 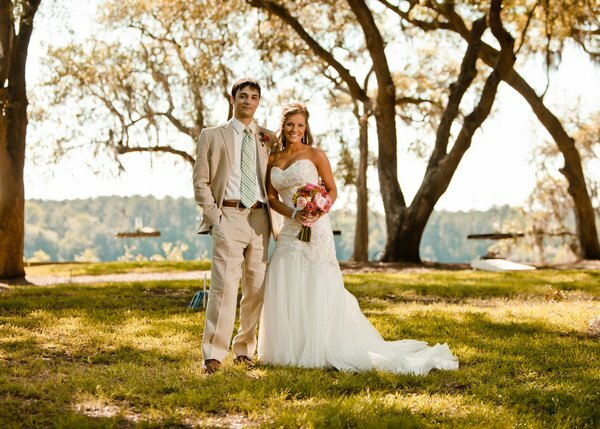 This southern wedding on the river is filled with fun lawn-games, backyard dancing, and adorable potted plants as favors. If you’re looking for shabby chic inspiration, look no further. From baby’s breath and worn candelabras, to burlap and embroidered handkerchiefs–this wedding has it covered. Globe lights, sparklers, and loads of fresh flowers easily make this outdoor wedding feel magical and romantic. Take a look yourself for some woodsy-chic inspiration. 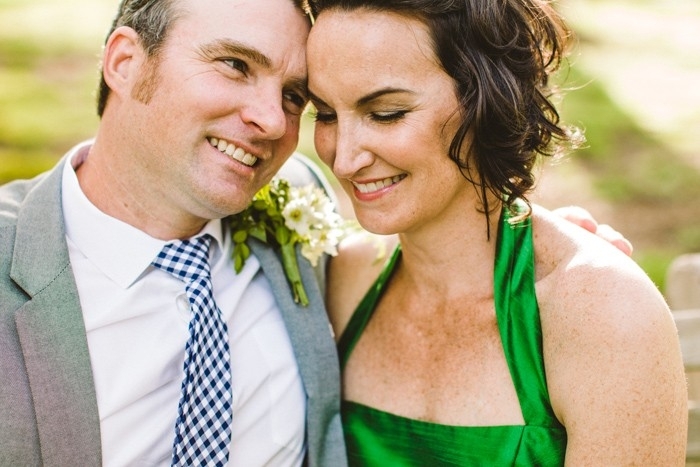 The bride wore emerald green to this backyard patio wedding complete with the couple’s favorite friends and family. Hard not to adore. 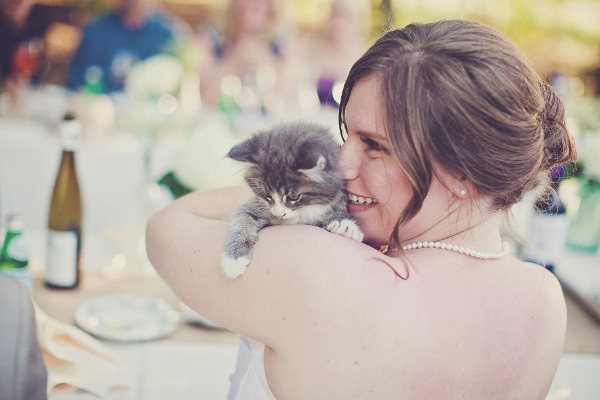 After looking and Melissa and Adam’s wedding, it’s easy to argue kittens should be a staple for every wedding. 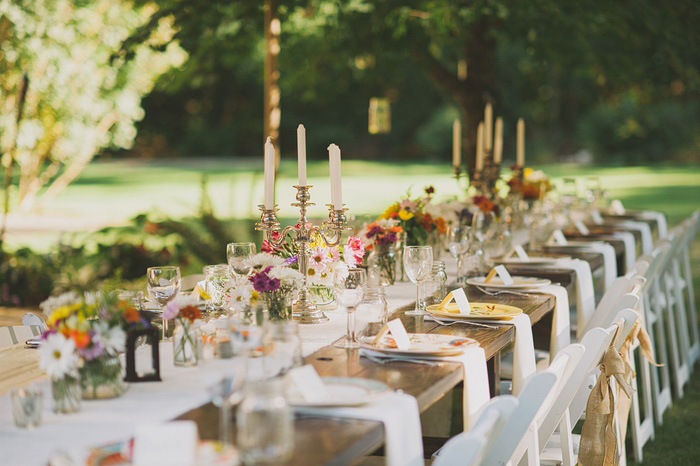 All of the homey details of this wedding are down-home and classy at the same time.